Dearly Beloved; We are gathered here today; To get through this thing called….. 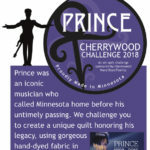 The Prince Cherrywood Challenge 2018! 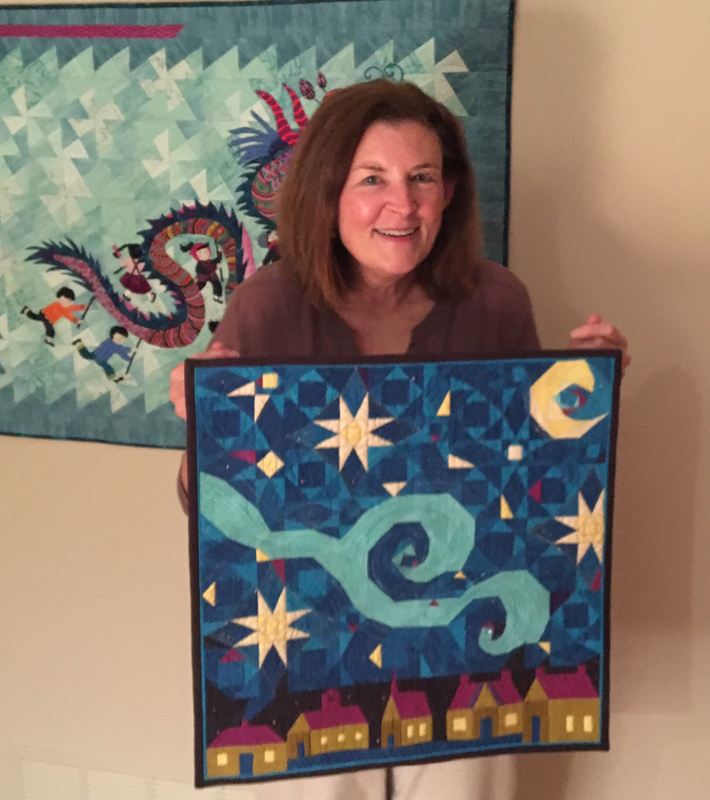 Guild member, Laurie Miller’s quilt has been selected as one quilts judged for the challenge! 388 quilts were submitted, and only 165 were selected to be judged. 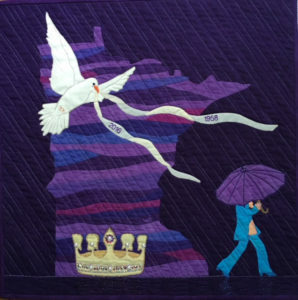 Laurie’s beautiful quilt depicts Prince’s home state of Minnesota with a dove flying soaring above the image of the artist walking while purple rain comes down around him. Cherrywood hosts a challenge every year. 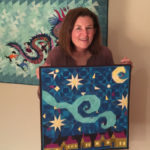 In 2017 the theme was Vincent Van Gogh. Laurie also entered and it is currently traveling with Dutch Collection. 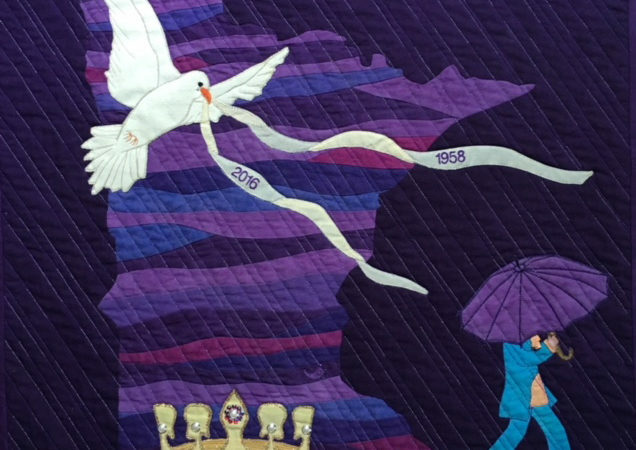 It will be on display until August 8th at the National Quilt Museum in Paducah, and will be at the Springfield Show in September. 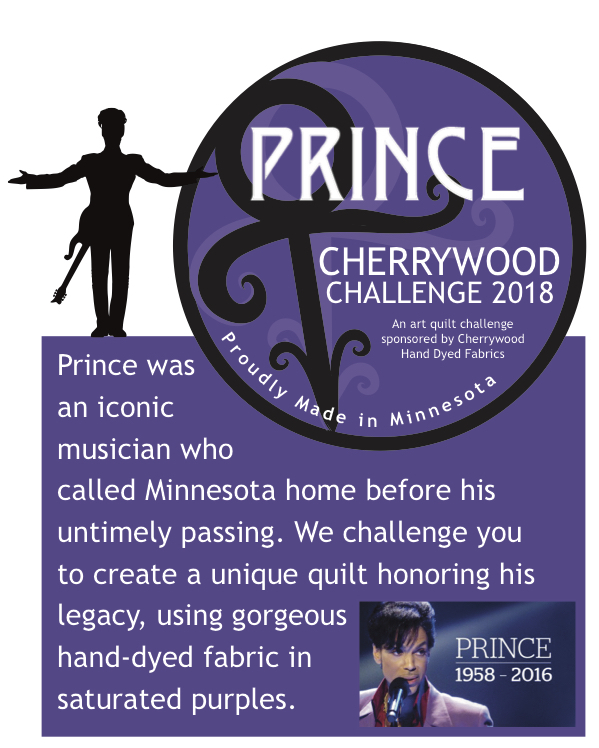 We wish Laurie the best of luck, as the final judging of the Prince Challenge will be on August 3, 2018!